New things seem much more interesting than old ones, don’t they? Probably, you’ve decided to resell or give away your old MacBook Pro, because it no longer meets all your needs. You want to get rid of it quickly and you’re sure that it won’t give you anything more. You’ve worked with your old Macbook for some time and have already discovered all options. So to speak you’ve played it enough. It’s no longer interesting to you and it seems that you know all its possibilities far and wide. But is it the truth? Now you are asking yourself: “What else can I do?”. But wait! Here are really good news! Your old MacBook has still something interesting. In this article I will tell you 8 proven ways of using the old MacBook before its reselling, donating or giving away. Let your old MacBook help the new one. It has a lot of useful applications. Moreover, its system settings work correctly. This is exactly what you’ll need on your new device. Setting your new MacBook with the old one will save you a lot of time. You’ll no more need spend it on searching lots of applications and downloading them. It helps you to start work on well-prepared soil. So, simplify your task as possible. Try to install your new MacBook with the help of your old Mac. It eliminates all possible tech problems. Go to the ‘System Preferences’ option and copy the appropriate settings. For example, if you have problems with the trackpad, find the ‘Trackpad’ item in this section, copy the trackpad settings from the old MacBook and install them on your new one. Yes, it’s the simplicity of genius! Take care of your data. There is information that will help you a lot in your work, in future projects and initiatives. There are many pleasant files or photos that give you good emotions and reminds of great moments. Therefore, it's best to backup all of the important information from your old MacBook. The worst situation that can happen is to find out that extremely important files have been lost by mistake or your own forgetfulness. Therefore, do it in advance. The most accessible and fastest way, as you've probably heard, is the Apple application ‘Time Machine’. Install this program. Another way to save your information is to transfer all folders and files to an external hard drive. You can also use portable drives for backuping. The third option for you are many backup services through online access. You can upload your files to the cloud. For example, Google Drive or Microsoft OneDrive will be great options. In addition to losing important information for you, it may leak. Deauthorizing your Apple accounts takes very little time and will play an important role for you. All because Apple sets limits on the number of devices with an identical Apple ID. You can be authorized only on 5 computers and 10 devices, such as iPhones and iPads. Look through the Apple guide to see how to deauthorize correctly. Best of all, of course, sign out of all your accounts on the old MacBook. Especially, if you use iMessages or iCloud. This will provide you with the necessary security. Go to ‘System Preferences’ of any application and select ‘Sign Out’. These actions are reliable protective measures and now the new owner of your old MacBook will not only not steal your music, but also will not gain access to your personal data. You know, it's matters. Recalling once again that we can’t know what kind of person will become the next owner of our Mac, we must carefully clean it from our personal information. Remember that even deleted files are restored if necessary, so the best solution is to clean completely the hard drive. 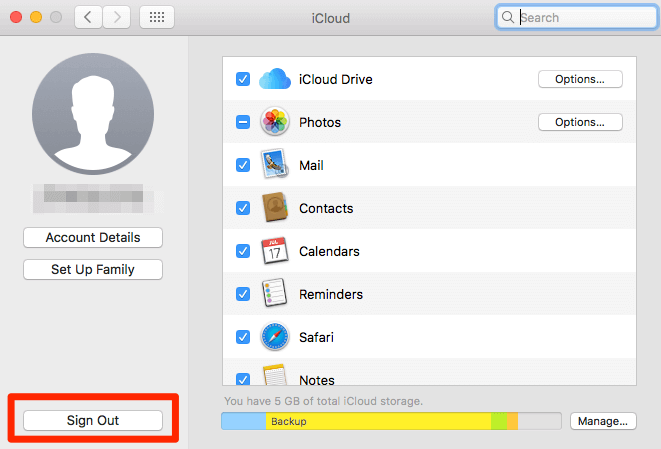 Clean the MacBook drive and you will be sure that your data is safe. Also check whether your old MacBook has a DVD disk, whether it has a Hard Disk Drive or Solid State Drive built into it. The way of wiping the information depends on Mac settings. Look at the settings, read the appropriate guide and erase the data. This action must be performed depending on the purpose and the way you give away your old MacBook. Let's say you give it away or donate. In that case, it’s better to reinstall the system, because most likely the new owner will immediately start working on the MacBook. Of course, this will be considered a very good ethical gesture on your part. When is it better not to reinstall the system? In case you sell your old macbook. The buyer may want to reinstall the Mac by his own and choose the version himself. So give him this opportunity. In any case it’s even more reliable. As a rule, during the wiping of hard disk in the previous tip, you are offered the option to reinstall the system. You will see the ‘Reinstall OS X’ option with installation instructions. Thus, you install a new macOS copy on your computer. When the installation is completed successfully, you will see an option asking you to enter your Apple ID. Stop here, please. This will do the future owner. You’ve prepared him a convenient entrance and made a kind gesture. So, we’re going ahead. Wipe off any dust or dirt. Make it look like a new one! This actually increases its value in the eyes of a potential buyer. On the other hand, this is a respectful attitude to the person you give your old MacBook. It’s more pleasant for each of us to work in a clean working space and use cleaned-up devices. It’s a sign of respect and really good attitude. 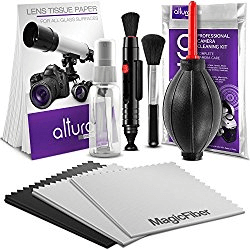 You can clean your Mac with the help of such a tool as ‘Altura Photo Professional Cleaning Kit’. It has materials that help to clean the device efficiently and thoroughly. Your old MacBook won’t look so old any more. You’ve decided to sell your old MacBook, but forgot to take the photos? This will be a big lack, since you can hardly sell your old MacBook without good photos. It’s important for people to see what their future purchase will look like. This tells them that your product is really worth the amount of money you ask for it. Make a couple of quality photos after you've cleaned your MacBook. In addition, the presence of photos not only increases your chances fpr a successful sale, but also reminds you how your tech friend was all that wonderful time when you were together! The original packaging gives the Mac a great novelty. The buyer or gift-recipient will be very glad. This symbolically tells him that he is now the real owner of the MacBook. By the way, if you can’t find the original package, put the old MacBook in some beautiful bright box. Make a surprise to the future owner, who will definitely be pleased with this unexpected sale approach. Be creative! Hope these types will help you to prepare your old MacBook for the future life in the hands of the new owner! These tips are very simple and easy to implement, so choose the most suitable for you. Each option can be useful depending on the goals you pursue. Try some or all of them. Leave your feedback on how do you like the above tips.